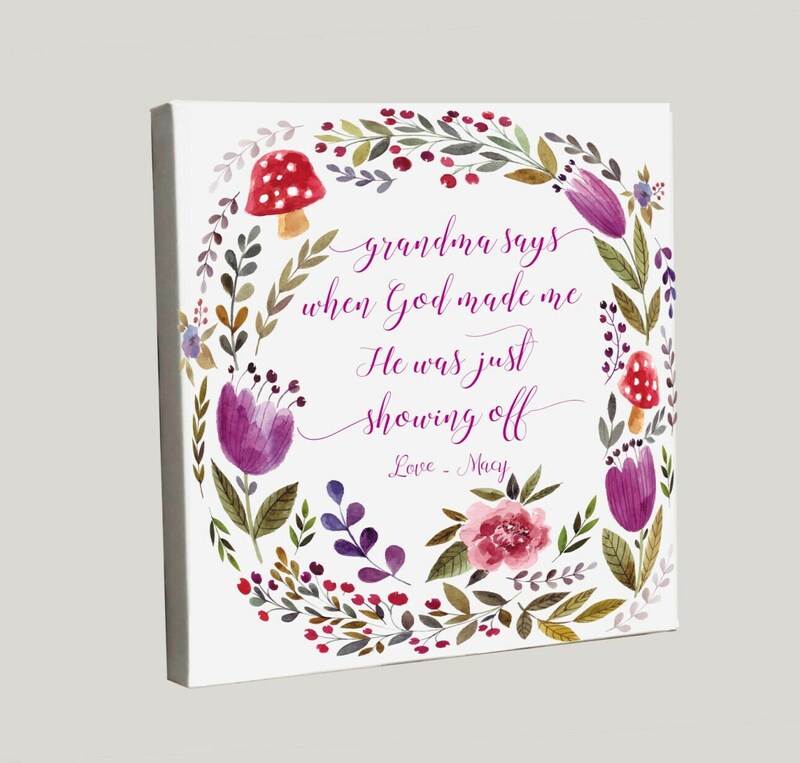 A beautiful, stretched canvas that is the perfect gift for any grandmother. She will adore the striking, water-color flowers and will cherish the sweet words, "Grandma said when God made me, He was just showing off." This canvas will be professionally printed using archival ink and sprayed with a finish that will preserve its longevity. --This will be a stretched canvas. The artwork for this design will not wrap around the sides. --In the "Note to Seller," please specify whether it's "Grandma, Mimi, Nana," etc. We can use whatever name or title you'd like. Also, please also include who the canvas is from (the sample is Macy). This could be multiple names, such as Macy and Kane.